Comprehensive Nationality and Immigration Law for employers, individuals, and families in Delaware, Chester County, PA, and all surrounding areas. Nina Qureshi, Esq. graduated from the University of Delaware in May 1999, with a double B.A. degree in International Relations and Spanish. While at the University, she also achieved a minor in Economics. Following graduation, Nina worked in the Emerging Markets division of a multinational bank for three years. There she managed a multi-million dollar portfolio of corporate clients from the Caribbean, Mexico, Central America, and South America. Nina left the banking industry in 2001 and enrolled in the Widener University School of Law. In 2005, Nina graduated with a Juris Doctor degree. While attending law school, Nina developed a passion for Immigration law. She worked at an Immigration law firm in Philadelphia, where she first gained experience filing family-based Immigration petitions and H-1B visa petitions. At the same time, Nina interned at Community Legal Aid Society in Wilmington, Delaware, where she interviewed clients filing for asylum, assisted with the preparation of asylum applications, and attended asylum interviews with clients at the Asylum Office in Lyndhurst, NJ. Prior to starting her own practice, Nina practiced at a private Immigration firm in Wilmington. During that time, Nina personally represented hundreds of clients and handled all aspects of immigration law, including family-based immigration, employment-based immigration, citizenship, asylum, and deportation defense. Nina represented clients in Federal Immigration Courts in Philadelphia, PA; Newark, NJ; York, PA; Baltimore, MD; and New York, NY. Nina has developed a special focus on Employment Based Immigration. Through working with numerous foreign medical graduates, Nina has obtained J-1 Waivers, H-1B visas, and National Interest Waivers. She also has extensive experience with PERM and filing employment based immigrant petitions. 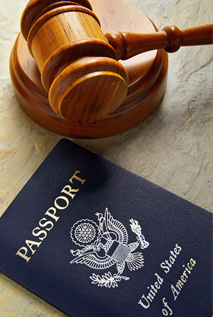 Nina has taught a number of seminars on immigration law and compliance to fellow attorneys. She is a member of the American Immigration Lawyers Association (AILA). She is admitted to practice in Pennsylvania and New Jersey, in addition to all Federal Immigration Courts. She is also admitted in the United States Court of Appeals for the Eleventh Circuit. Nina is fluent in Spanish and regularly volunteers at the Latin American Community Center in Wilmington, Delaware. © 2013 Nina Qureshi, Esq. All rights reserved.